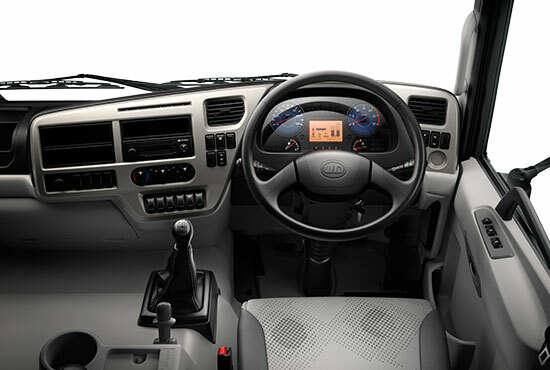 The ergonomic layout of the dashboard increases the safety on the road. The most important controls and switches are within easy reach of the driver, clearly marked and easily recognizable. Large 4.5” display in the instrument makes the information easy for the driver to read. It delivers bright and sharp contrast with quick and easy recognition of information. The display also gives information on the fuel coaching system. Either air suspended or mechanical suspended drivers seats are available. They are an ergonomic design with good adjustment and well-shaped seat cushion and backrest which reduces fatigue during long trips. Well-rested drivers do a better job. 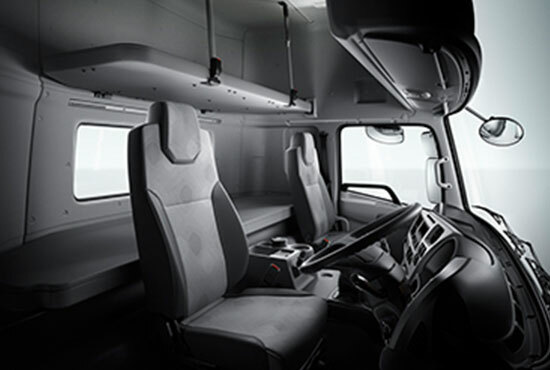 The high roof cab versions have bunks that are extra wide and extra long to ensure a good night’s sleep. The Quester has the option of under bunk storage of 151 liters on the high roof cab and 104 liter on the standard sleeper cab. Sleep tighter and work safer. In case of fire or road accidents the high roof cab has a roof hatch which can also be used as an emergency escape. I have driven a number of different trucks over the years but the one I like the most is Quester GWC 370. I have driven a few models of UD trucks, I can vouch for them based on my personal experience. They are good for safety and for all-around performance and they are very reliable. The GH11E engine boasts a sturdy, dependable design featuring an overhead camshaft, four valves per cylinder and precisely controlled electronic unit injector. Drivability is excellent thanks to the broad torque range. 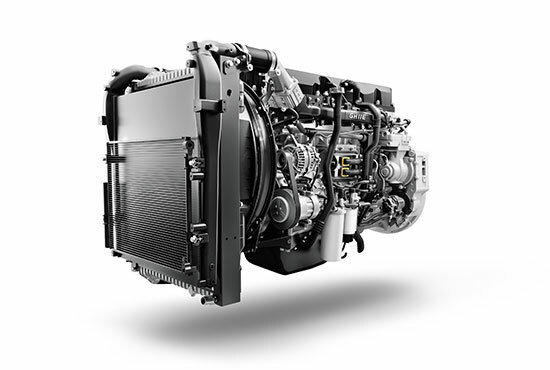 The 11-liter engine is available with the optional engine brake (UD EEB). This provides powerful braking that is quick to engage. Improved braking safety results in higher average speeds especially in hilly landscapes. In addition it results in decrease in brake lining wear. 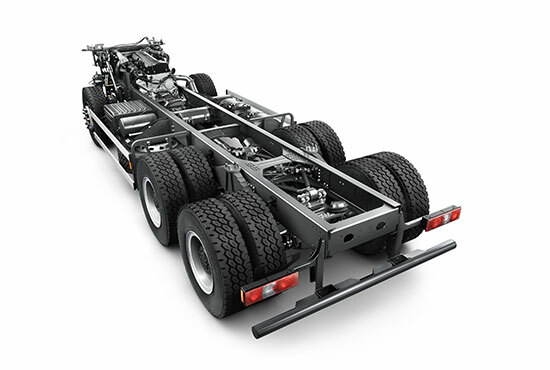 A system of coil springs supports the entire cab, absorbing road shocks and vibrations. It’s a reliable and hassle-free system, keeping maintenance costs to a minimum. The 6×2T and 6×2R configurations can be provided with a bogie lifting axle which is used to lift the axle in the unladen condition. 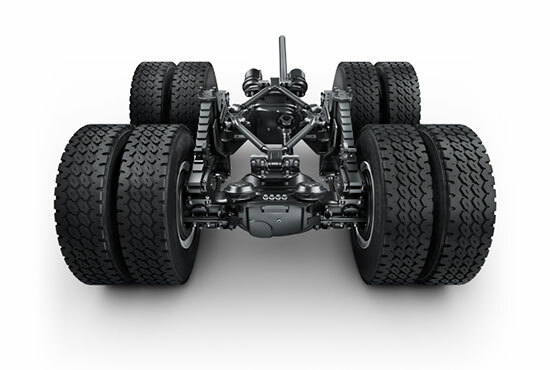 The lifting function on the third axle gives the truck more traction when activated. It also gives you better fuel consumption, extended tire life and a smaller turning radius. It can be supplied with bogie press which is used when higher traction is required. For rough and hilly operation Quester offers hub reduction for the 6×4R, 8×4R and 6×4T configurations.